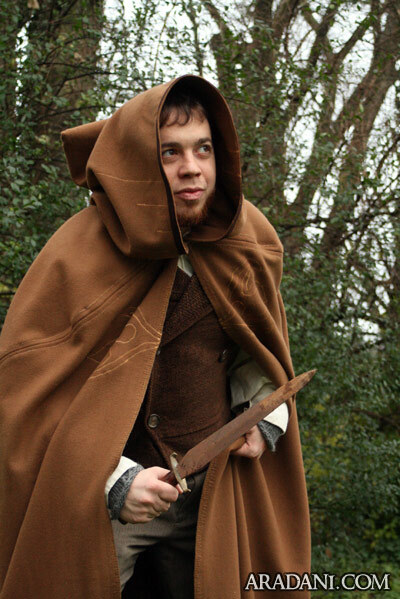 We have been working on some new cloaks. 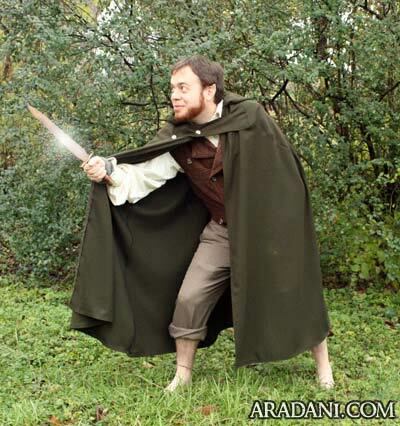 There will always be more to come, especially with the new Hobbit movie coming out. I decided to make a hobbit cloak first. I found a picture of a hobbit Frodo toy, and decided to base my design off of it. 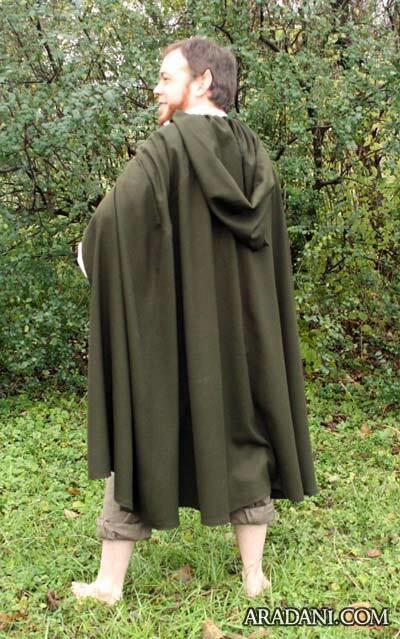 The Frodo cloak has a sort an oblong flap that holds the cloak closed. 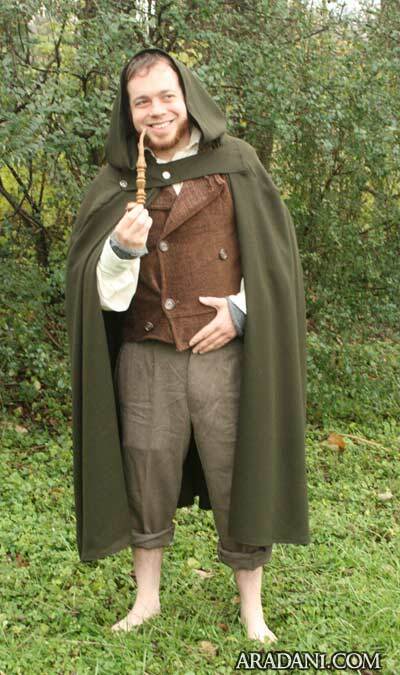 I also decided to use two button holes and buttons to give the hobbit cloak more detail. 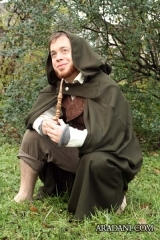 Also, as you can see in the pictures, it is shorter than a traditional cloak. 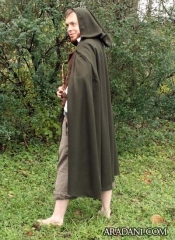 The fabric is dark green wool that I found at Sir’s Fabric in Fayetteville, TN. 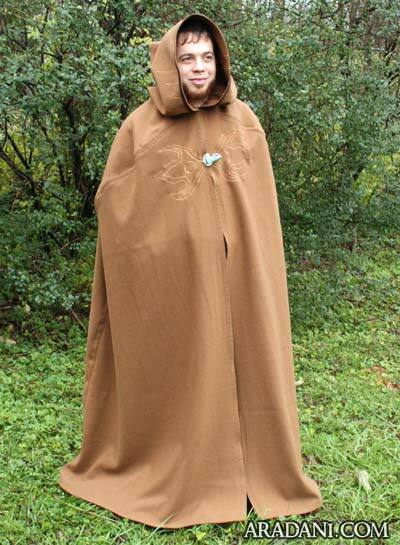 This cloak can be made in just about any color and fabric. This next cloak is the start of our basic wool cloaks we will be selling. 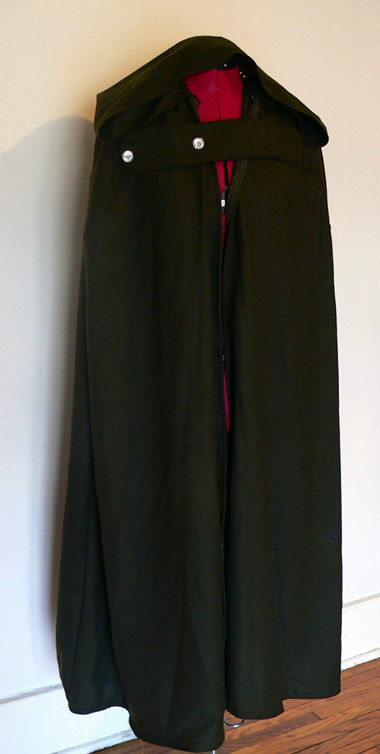 I plan to put a fancy clasp closure at the front. 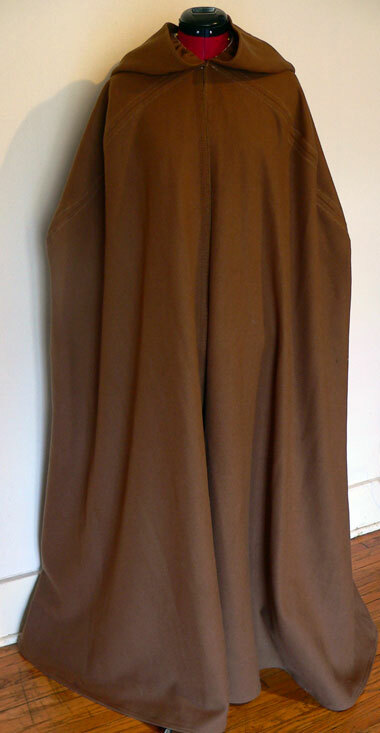 I also think it might be interesting to add some embroidery. 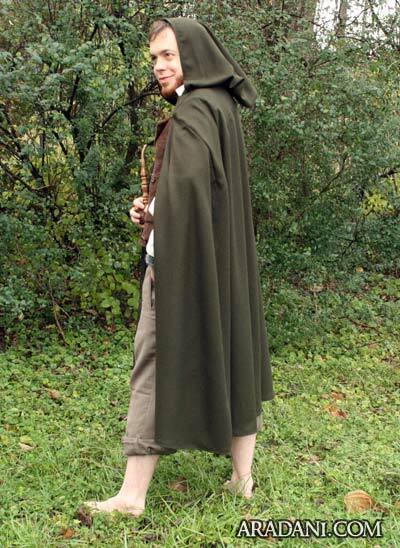 This particular cloak is not lined on the inside, but we will have an option to buy them that way. I also want to make a rogue cloak that will be fully lined with pockets on the inside. But for now, this is the start of the wool cloak line. 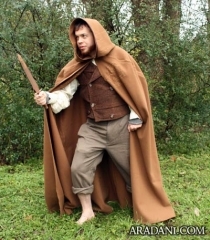 Bilbo Baggins right out of Bag end, wearing a borrowed Dwarven Cloak.